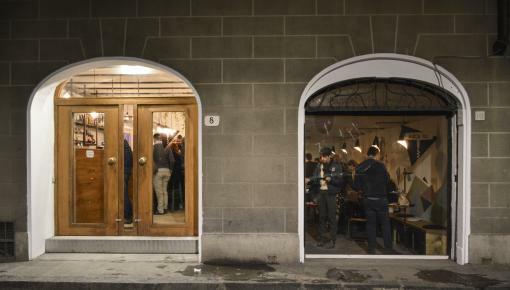 Buca 10 is a young and multifaceted Wine-Bar. Wide selection of wines from all over Italy. Five different types of cutting boards. Cocktails with quality distillates, which enhance the Italian territory, and studied in different variations. Sophisticated design in a minimal-industrial style. There are two rooms, a larger one dedicated to the desire to be together and to music (there is a cajon and a guitar that anyone can use). Another room, very special, has been designed for tastings and for tranquility in an intimate and warm (meditation room). Event space for graduations, birthdays, private events and various activities. The staff is always present, prepared and ready to satisfy your every desire (not all all eh). We wait for you at Buca 10 and ricodate: Peace & Wine.